The First Data-Driven TV Awards to be Presented at NATPE January 22, 2019. 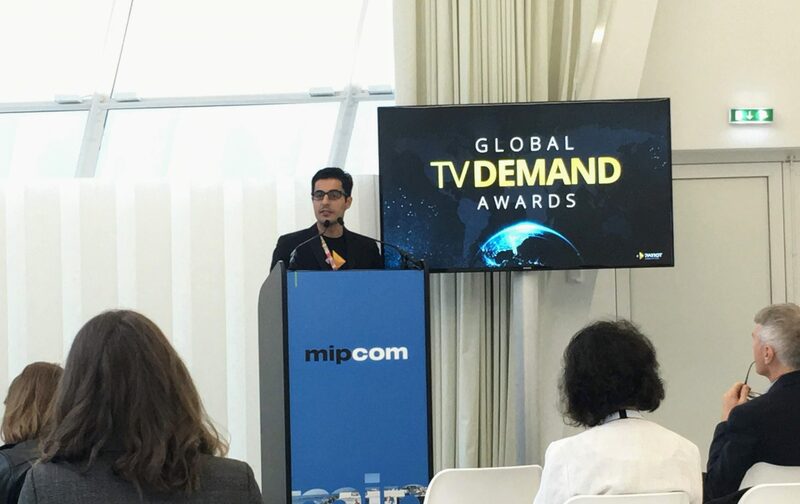 Cannes (October 16, 2018) – At a press conference held today during the MIPCOM international content market in Cannes, Parrot Analytics, the leading big data TV analytics firm specializing in content demand measurement worldwide, announced the launch of the Global TV Demand Awards. The winners of the first-ever data-driven TV content awards will be presented at the NATPE international content market in Miami on January 22, 2019. Parrot Analytics CEO Wared Seger made the announcement, with additional comments from JP Bommel, President and CEO of NATPE. According to Mr. Seger, the Global TV Demand Awards will recognize television series that have garnered the most audience demand globally over the course of calendar year 2018. “The Global TV Demand Awards celebrate the most popular television shows each year, without a panel of judges or any other subjective voting body. At Parrot Analytics, we provide the most accurate determination of what content people want in an ever-expanding multi-platform world, and for what is now a US$500 billion television industry,” said Seger. Consumers express their demand for television shows in different ways, including social media engagement, video streaming and peer-to-peer protocols, photo sharing, blogging, and research platforms. Parrot Analytics is the only company that captures, weighs, and combines all of these different touchpoints into a single content demand measurement. The Demand Expressions® metric represents the total audience demand being expressed for any title across all platforms, in any market, around the world. For the first time ever, content decisions can be made using globally consistent data showing how content brands resonate with consumers. Only one series will be designated as the Most In-Demand Digital Original Series in the World and one as the Most In-Demand Series in the World, using data gathered from January 1, 2018 through December 31, 2018. The awards for each will be presented to the winners at NATPE Miami on January 22, 2019.